The 2 RU OPUS 4K HDR 6 x 8 HDMI to HDBaseT Matrix Switcher from Atlona is designed for high dynamic range (HDR) formats. This matrix switcher is HDCP 2.2 compliant and supports 4K/UHD video @ 60 Hz with 4:4:4 chroma sampling, as well as HDMI data rates up to 18 Gb/s. 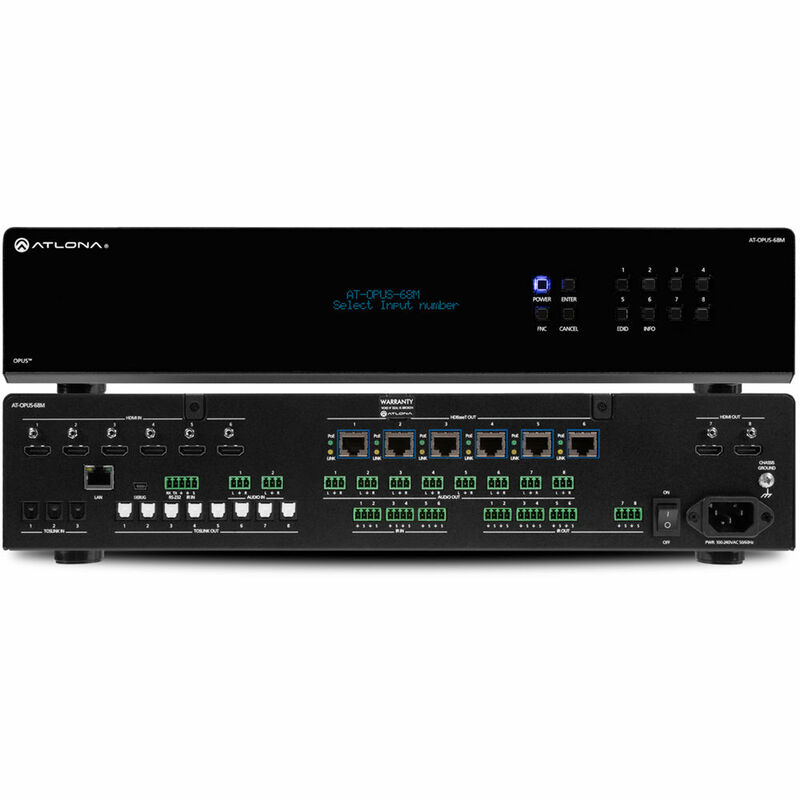 It enables flexible routing to six HDBaseT outputs plus two additional HDMI outputs, and is compatible with the AT-OPUS-RX receiver or AT-JUNO-451-HDBT switcher for transmission of HDMI, Ethernet pass-through, and bidirectional IR and RS-232 control signals up to 330' over Cat 6a/7 cable. Visually lossless VESA Display Stream Compression (DSC) enables HDR and 4K/60 4:4:4 signal extension over HDBaseT with no latency. 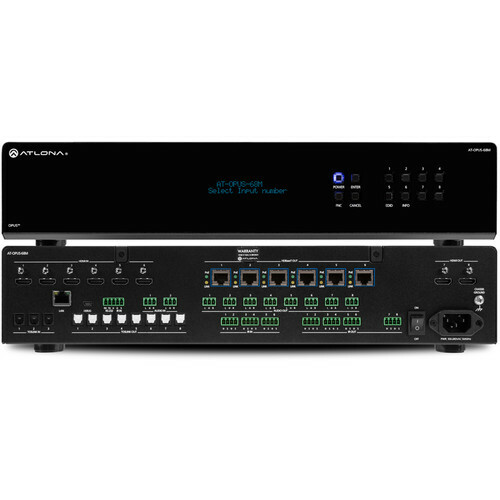 The matrix switcher is equipped with a comprehensive host of audio and control system integration features, making it ideal for a wide range of residential and commercial applications requiring multi-zone AV distribution.